In the process of using your iPhone, it stores history of what you do and sometimes this is with good intentions. 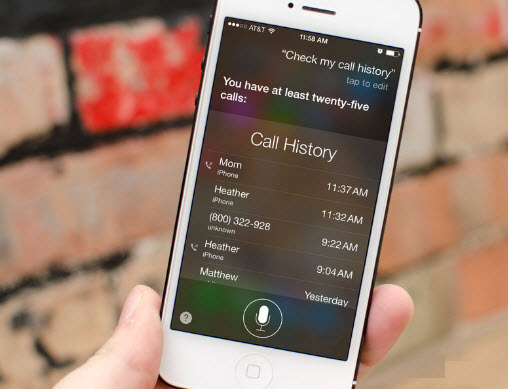 For example, it makes things a lot easier like checking missed or past calls, tracking a website among others. However, sometimes having them on your iPhone has a lot of disadvantages. For example, it takes away your privacy because everyone can see what you are doing; and it takes a whole lot of your storage space causing your device to slow down. Whatever the case, it is important to delete iPhone history from time to time. Step 1: Open the Settings tab. It is better to delete your safari browsing history from the settings app instead of the safari app. Step 2: Scroll down till you finds the “safari” app. 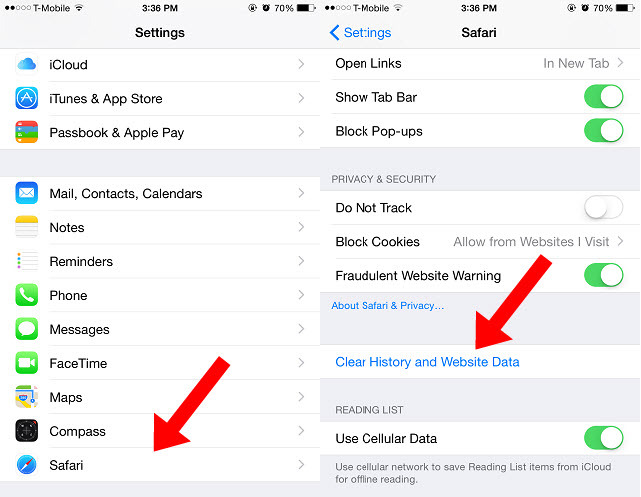 Step 3: Tap on “Clear History and Website Data” in the safari menu. There will be a pop up asking you to confirm, just tap it. Step 4: Confirm and delete the history. Apart from that your Cookies and caches will be deleted. Step 1: Go to the phone app and open it. Step 2: Go to “Recent” tab. It displays the list of recent call that you have made or received. Step 3: Tap on “Edit”. Step 4: Tap the “minus” sign to delete a single entry, or tap “Clear” to delete all at once. Apart from this visible iPhone history above, there is also the invisible iPhone history. Your history would still contain some deleted files irrespective of their delete status. iPhone users should understand that the normal way of deleting these files is not enough, as they are still exist on your iPhone before having been completely overwritten, they can still be recovered by data recovery software. 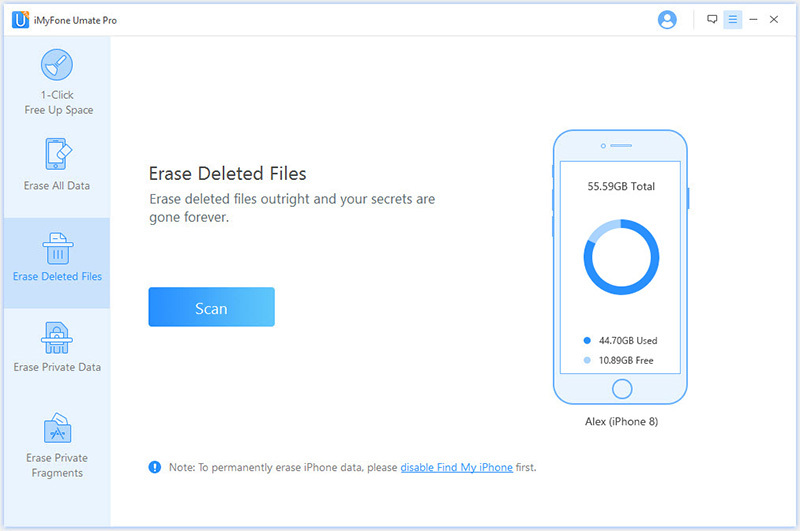 To be sure that your iPhone history is completely erased, it is important to scan and check for these deleted files and erase them totally and completely using powerful tools that would ensure that they cannot be recovered again. This can be done by the powerful iMyFone Umate Pro. iMyFone Umate Pro or iMyFone Umate Pro for Mac remains one of the worlds best all in one solution for iOS space saving and privacy protection. It can free up space on your iPhone by cleaning iOS files in 1-click. 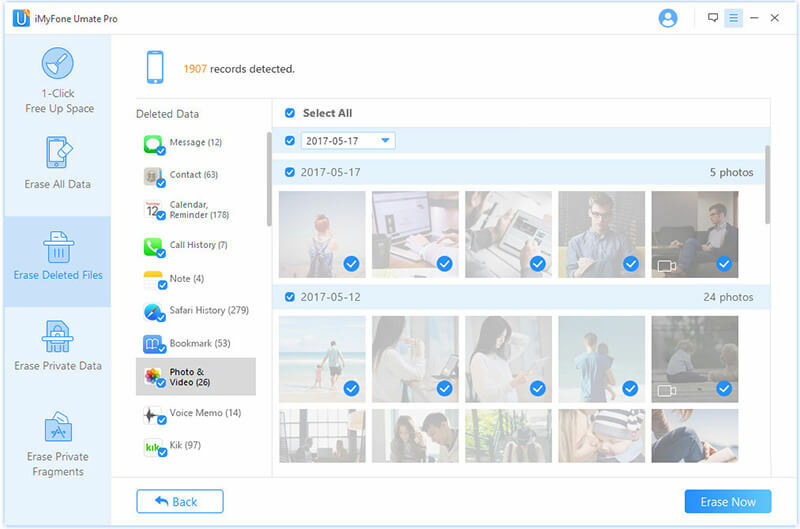 It is also the best tool that scan and delete previously deleted messages, contacts, call history, safari history, calendar, note, bookmark, photos, videos, voice memo etc., ensuring that they cannot be recovered even with the world best data recovery tools. 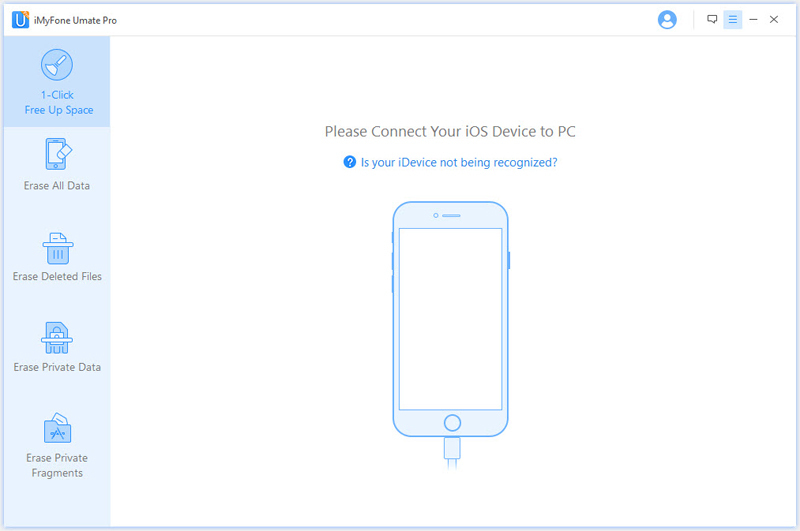 iMyFone is highly spoken of by hundreds of well-known media, such as MacWorld, iPhoneinCanada, APPKED, etc. It is easy to use and it is highly compatible with iOS 12 and even the newly released iPhone. The Umate Pro uses four modes, including “Erase Deleted Files”, “Erase Private Files”, “Erase All Data” and “1-Click Cleanup”. The best mode to erase your iPhone history is the Erase Deleted file mode. What Should You Know About “Erase Deleted Files”? You can erase all deleted texts, photos and videos if you have already deleted them by just simply means. Do not forget that a simple deletion of those files means it can be recovered, which may be dangerous for your privacy concerns. However, with Umate Pro, you can delete them finally. The program is equipped with features that can scan and show all those deleted files no matter how long they have been initially deleted. You can then review these files again and delete them permanently. Any file deleted through this means is final because it cannot be recovered again with recovery tools making it the best method for privacy protection. Step 1: Download and install the program on your PC, then connect your device. Step 2: Choose “Erase Deleted Files” mode, and click on “Scan” so the program will begin to finding out all your deleted files. Step 3: After the scan finished, preview and select the files that you want to erase, then click on “Erase Now” to erase data permanently. The free version of this program provides some limited fucntions. You can use it to give a basic cleanup to your iPhone by removing junk & temporary files, this fucntion is totally free. But for erasing deleted files, you can just use the trial version to scan your iPhone and preview the deleted file records, but if you want to permanently erase the records, then you need to upgrade to the full version.